Our Old Shanghai Food Tour will take you away from the Bund and the regular tourist path to immerse yourself in local Shanghainese culture and cuisine. Our tour commences near Peoples Square, from there we will weave through the back streets of Old Shanghai and eat in traditional restaurants. Along the way we will pass some of the last remaining 'Laneway' housing in Shanghai, as well as seeing a vibrant restaurant street where Chinese minorities from Xinjiang and Gansu provinces sell their local cuisines. This is more than just a foodie tour, this is an opportunity to immerse yourself in the atmosphere of old Shanghai. 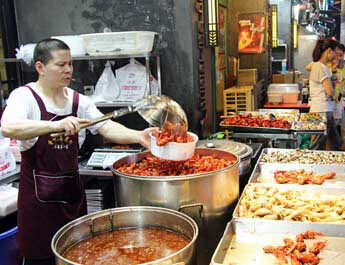 The Old Shanghai Food Tour focuses on traditional Shanghainese cuisine. 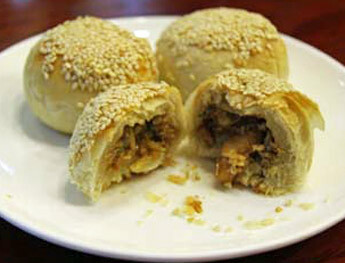 Taste authentic Sheng Jian Bao and Xiao Long Bao and much more. There is a huge amount of food on this tour, so expect to go home stuffed. So what can you eat? 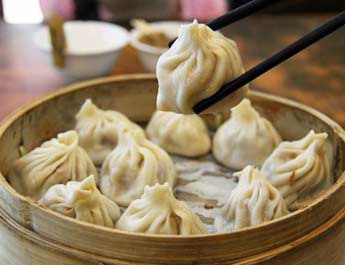 Xiao Long Bao: These dumplings are made with a thin skin of dough and stuffed with a seasoned minced pork. When steamed in a bamboo steamer, the pork should produce a tasting broth which is sealed inside the thin delicate wrapping. 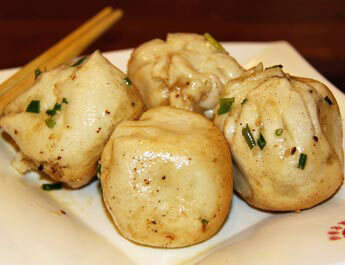 Sheng Jian Bao (Pan fried dumplings): Another famous Shanghainese snack food, these dumplings are pan fried with a doughy exterior and a meat and soup filling. Less well known than Xiao Long Bao, but possibly more delicious. 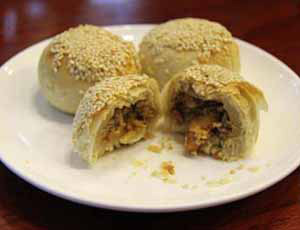 Xie Ke Huang (Crab shell pastry): Crab Shell Pastry is a Shanghai speciality. Fillings include green onions, pork, crab meat, shrimps, mashed beans and sugar. 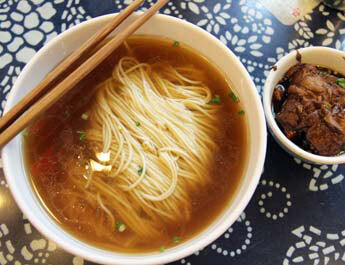 Chang Shou Mian (Longevity Noodles): Traditional handmade Shanghainese wheat noodles served in a clean meat based soup. The recipe for these extra long noodles was passed down from a former royal chef! Stir Fry Bull Frog: Bull frog stir fried with green pepper. An exceptionally popular local meal. Deep Fried Wonton: These pork dumplings are deep fried and served vinegar. Suprisingly delicious. Xinjiang Stone Oven Naan : Originally from Kashgar in Xinjiang province, these vendors make traditional bread in a stone oven. Yellow Wine: Traditional chinese wine made from fermented rice. Prices include all standard food. Large group and family discounts are available. Please contact us for details. Number of participants: Minimum of 2 full fee paying customers. Maximum of 8. Child Friendly: Yes – We offer discounts for children under 12. Contact us for details. Languages: Food tour can be conducted in English or Mandarin. What's not included: Transportation to and from the tour. 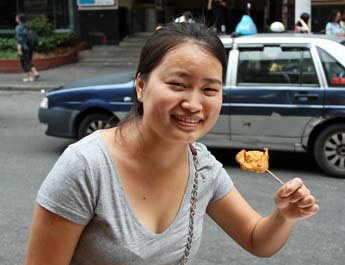 This Shanghai Food Tour can be run as a private tour and customised to meet your needs. Contact us for details. Honestly, if you're in Shanghai for any more than one day - just do this. You won't regret it. Our tour guide Elaine spoke excellent English and gave us such a warm welcome (like the last reviewers- we absolutely love her too). Her knowledge of the city and it's history was deep and considered (this was no rehearsed speech). ..........I can't recommend this highly enough. When holidaying we actively avoid touristy things and want to experience life like a local. This is exactly what we got on our Old Shanghai Foodie tour with Elaine! "So good we retraced the route!!" Lily was a star, food was absolutely great - couldn't call our favourite dish at the end of the tour .... and yes we did retrace our route two nights later (and the food was still brilliant). Go forth hungry and enjoy!! My fiance and I visited Shanghai for the first time and felt like we really got a good look at the "real" Shanghai. Food was delicious, well picked, and had great commentary to go along with it from our tour guide Elaine! We absolutely loved her and can't wait to go back to Shanghai for more great eats! We normally do food tours wherever we travel. This one was the best priced in Shanghai and our tour guide, Elaine, was great. She spoke great English and was very knowledgeable with all of our questions. She even bought us a round of beers during the tour. Went to nine stops on the tour and we were so full afterwards. The pan fried steam buns were some of the best I've ever had. If you want to experience new areas in Shanghai and have great food, I highly recommend this tour. We Love Elaine! Well that is what all the customers are saying. 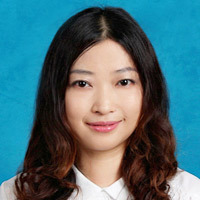 Originally from Xuzhou not far from Shanghai, Elaine has a wealth of knowledge about Shanghai and local cuisine. 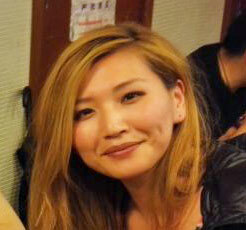 Elaine is a fully licensed tour guide, and speaks fluent Mandarin and English. 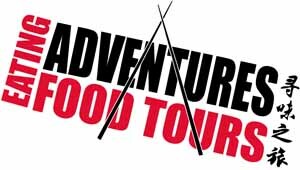 Eating Adventures is the ONLY specialist food tour operator in Shanghai using licensed local guides! Our tours are small group tours that give you a personalised experience. Unlike other food tours in Shanghai, we really mean small group. Most tours have no more than 4 - 6 people, and the absolute maximum is 8 participants. All of our tour guides are licensed local Shanghai guides. If you really want to immerse yourself in Shanghai and learn about the culture, you need to be shown around by a local. You definitely will not find any foreign expats leading these tours. At Eating Adventures our passion is eating damn good food. We don't claim to be pretentious food bloggers or famous chefs, just local people that love to eat. 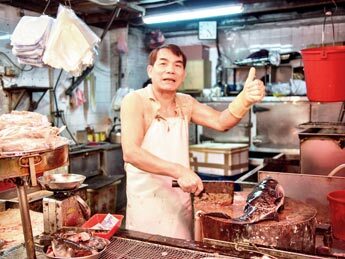 We know where to find the most authentic food in Shanghai and want to share it with you. This food tour has been designed for foodies that want to experience the most authentic Shanghainese cuisine. 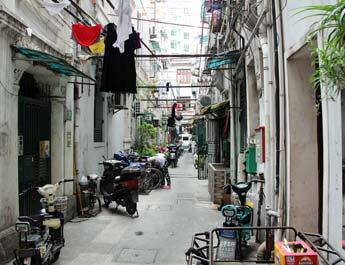 The tour comprises a mixture of street food and restaurants, all within old shanghai. It is great for those that are adventurous eaters, and can be easily modified if you would like less adventurous eating options (no frog please!). Lots of our customers are of Asian decent or overseas Chinese. The tour covers a walking distance of roughly 3km. "A sparkling gem on a foggy evening"
Two Aussies and two Canadians joined Elaine for an almost mystical tour through a labyrinth of front streets and back streets to taste truly delicious authentic Shanghai food. Elaine set the historical and cultural stage for us before each stop which allowed us to more fully appreciate and enjoy the tasting experiences. We would most highly recommend this tour on a visit to Shanghai and if Elaine is your guide, you will be in total food heaven with this enthusiastically delightful young woman. Sisly is another Shanghai local, who was born and raised in Shanghai. 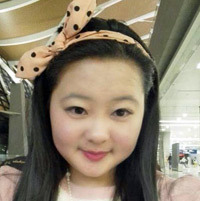 She can speak the local dialect Shanghainese, as well as English (her university major), Mandarin and some Spanish. Sisly enjoys exploring old buildings and culture in Shanghai. Eating Adventures is proud to be a co-founder of TIFTA. The overall aim of TIFTA is to create a reputable community of the best food tours globally which will become the trusted source for food travellers around the world. Clients taking a food tour with us are eligible for a 10% discount on partner food tours worldwide. See our partners page for details. 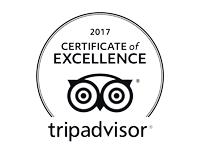 © 2017 Eating Adventures Limited All Rights Reserved.